NPP Lead Acid Batteries Are Made With High Quality Materials. For Alarm System, Emergency Lighting System, Firefighting Equipment, Standby Power Supply and Telephone Switching System, Uninterrupted Power Supply, Electric Wheel Chairs Telecommunication System, Computer Standby Power Supply System, Solar System, Etc. WARRANTY - At NPP, each battery has been strictly quality controlled. 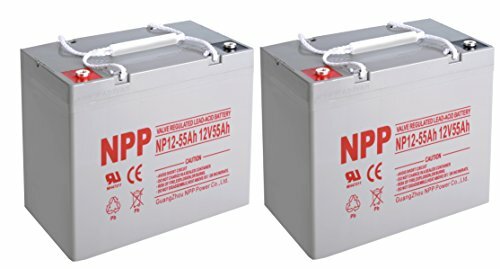 Each NPP battery will come with an two year warranty. So you can purchase with confident.